Who ever heard of too much sparkle?? Last night, as I was putting the finishing touches on my first entry for the Ellen Hutson pinsights challenge, I decided a little Wink of Stella would add just the right amount of sparkle to my card. I think I’m getting close to running out of my clear pen, and so I squeezed it to see if I could get a bit more sparkle on my project. I ended up with a puddle of wink on one of my already-adhered-with-scor-tape flowers. Ugh. I tried to salvage it, but to no avail. So, today I worked on a new card. 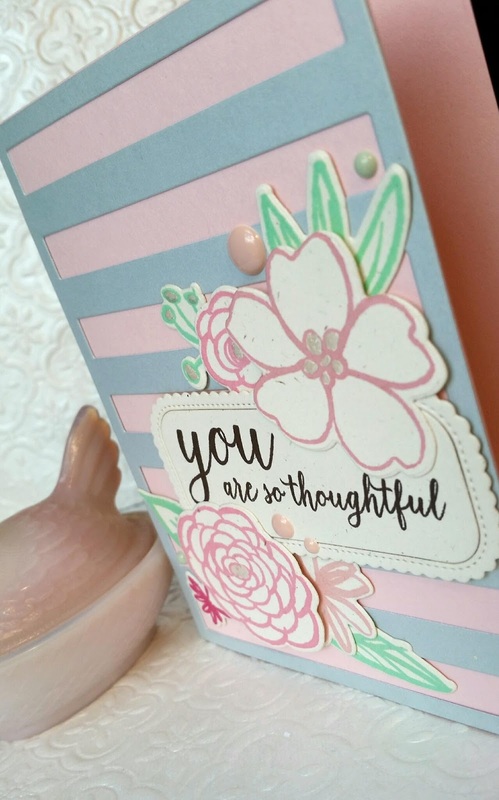 The layout is similar to my card for last month’s PTI blog hop, but it uses Ellen Hutson’s Bohemian Garden and matching dies, as well as the EH Fancy Thanks. (I just adore that font!!) 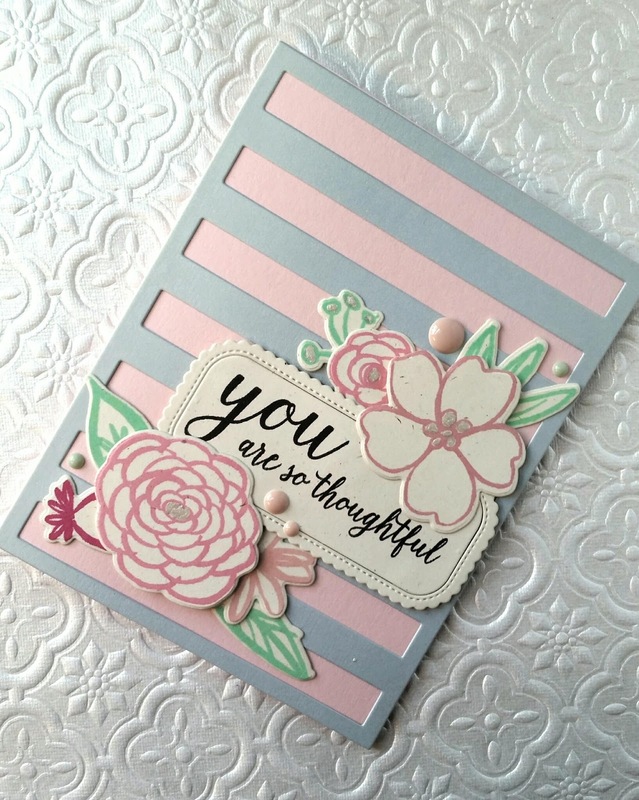 I tried to keep my card relatively shabby chic, sticking to the same color palette, but these blooms lend themselves very well to a bolder, more graphic style, so I’m not sure if I succeeded. Oh well. 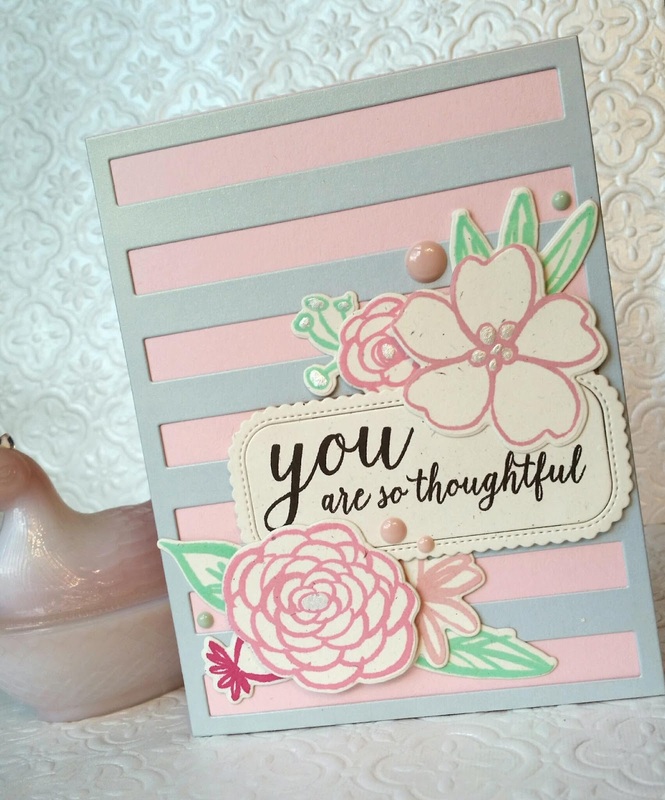 I used a PTI striped cover plate with some gray shimmer cardstock from dcwv for a background. Some wet Perfect Pearls in the center of some of the blooms added some more shimmer to the card. Thanks for stopping by! I’d love it if you became a follower on Instagram (I’m eamidgett) and/or subscriber here! Have a fabulous day, friends!